OnePlus 6 is company’s upcoming flagship smartphone that is set to launch officially on May 16 in India and on May 17 in China. The company itself has revealed a lot of details about the phone, like the design, some specifications, etc. 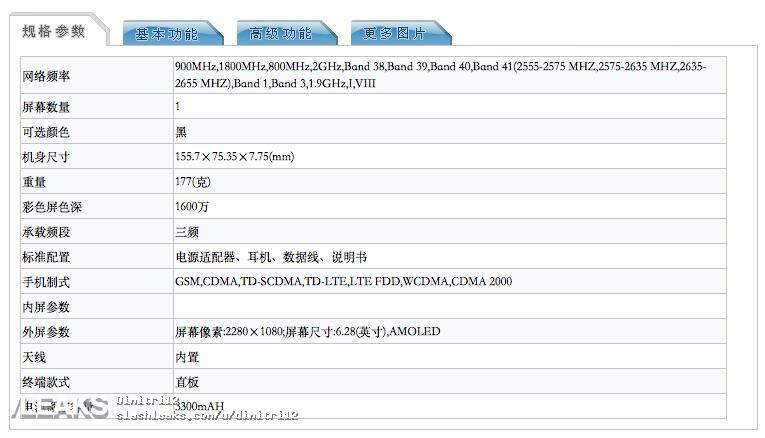 Today, the phone showed up on TENAA with the model number ‘A6000,’ and some major specifications have leaked out. The specifications show that it is going to be a pretty impressive flagship phone from the company, featuring almost everything we want to see in a 2018’s flagship. As per the TENNA listing, the OnePlus 6 has a 6.28-inch AMOLED Full-HD+ display with a resolution of 2280×1080 pixels. This means the aspect ratio is 19:9, thanks to the notch on top. The dimensions are 155.7 x 75.35 x 7.75mm, and it weighs 179 grams. A 2.45GHz Snapdragon 845 processor powers the phone, and there is 6GB RAM along with 64GB ROM. We are sure that there is going to be an 8GB RAM option too and the ROM options will include 128GB and 256GB models (The TENAA listing shows the 6GB+64GB variant only). Other OnePlus 6 Specifications include a 3,300mAh battery so, the size is same as the OnePlus 5T’s battery. There are chances that OnePlus 6 will feature Wireless charging too as there is a glass back. But, there is no official word from the company on Wireless Charging support. Talking about the cameras, the OnePlus 6 has a Dual camera setup on the rear that includes 20MP+16MP sensors, and there is a 16MP camera on the front. Again, same camera specs as the OnePlus 5T (at least on paper). Finally, Android 8.1.0 Oreo runs out of the box with the Oxygen OS skin on top. The Indian pricing of the phone has already leaked out, and in case you don’t know, the 64GB variant will be priced at Rs 36,999 or $555 and 128GB variant at Rs 39,999 or $600. We are not sure if the 256GB ROM variant will be making it into the Indian market.